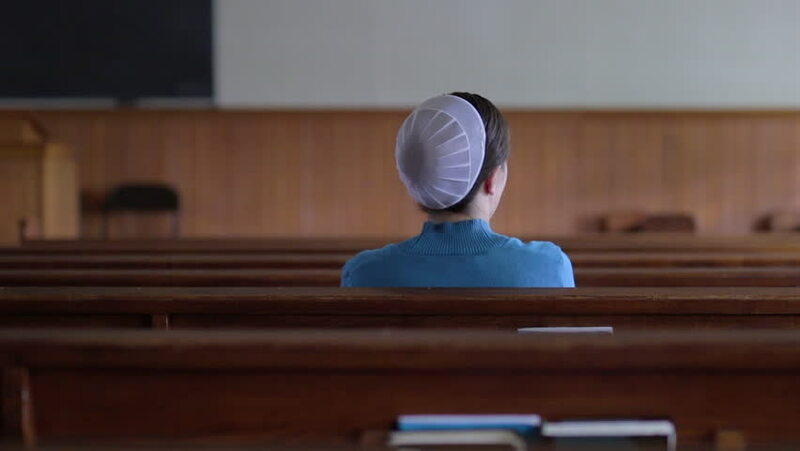 A young Mennonite woman sits in the pews of an empty church. hd00:19A young Mennonite woman sits in the pews of an empty church in slow motion. hd00:15Nice to see you. Good-looking young female student works on portable tablet then smiles while watching her classmate go past her. hd00:08MOSCOW - JAN 27: Jewish boys and other sit on bench in synagogue Beis Menachem at International Holocaust Remembrance Day, on Jan 27, 2012, Moscow, Russia.